With many of the public offer super funds having outsourced to external service providers for many years, what are some lessons that SMSF firms can learn from their experiences? Bluntly, outsourcing has a terrible reputation with consumers. We tend to associate it with call centre operators in other countries who, no matter how well meaning, cannot really help us. So, it might be easy for us to imagine outsourcing as good for costs, but not so great for members. 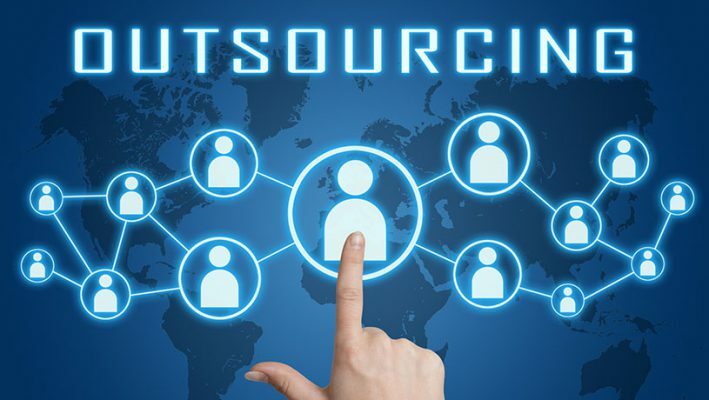 Yet this may be a very unfair way to think about outsourcing, because there are certainly circumstances in which it can lead to better results. Furthermore, it might even be true that thinking properly about what to outsource and what to do internally can improve services and outcomes for members. As it happens many organisations use the term ‘smart-sourcing’ rather than ‘out-sourcing’. This is meaningful because ‘smart-sourcing’ is a way of thinking about which functions your organisation does itself and which it has contracts out to others. If the functions your organisation performs are either too expensive, or of inadequate quality, then taking a different approach is a good idea. So today many of the public offer superannuation funds have decided to outsource their administration. Many will have done so because there are three major benefits. Firstly, there may be a cost saving, and this works for members by helping keep fees low. Secondly, the external service provider may have the scale to provide better quality services, potentially being faster or more accurate. Finally, the external service provider might be able to provide bonus services to members because they can spread the cost of investment over larger volumes. For example, a larger provider might be able to afford sophisticated and intuitive member online services, such as chatbots to answer questions, or smart forms to make interactions with the fund easier. However, funds do not even need to outsource for members to get a benefit. Just thinking about sourcing in a structured way may deliver enormous value for members. For example, many funds have chosen to build internal investment teams and ‘insource’ the services. Why would they do this? Well there are probably three reasons why this could be beneficial to members. Firstly, once again, they may be able to provide the investment services at a lower cost. Secondly, they might conclude that they can deliver with higher quality over time. This could happen when the fund has scale or when it needs recommendations which are more tightly linked to the objectives of the fund. Finally, the fund might get ‘bonus’ services from an insourced provider – for example, much closer interactions with interested members. It’s important to note, that in both the outsource and insource examples above, the benefits go beyond cost. There are also benefits in terms of quality, in breadth of services and potentially in alignment to the funds objectives. Hence, the term smart-sourcing has arisen because we can make smart decisions on sourcing, either in or outsourcing, with multiple types of benefit. What’s more the options for sourcing go much further than just administration or investment teams. Indeed, if a fund wanted to it could outsource most of its functions. Furthermore, the services available for superannuation funds are increasingly fragmenting into specialities. For example, funds can choose to outsource just the registration system, but keep other elements of administration. Or the asset manager’s mandate can be limited to just asset class advice whilst other investment services are provided by “best in class providers”. This way funds can really focus very tightly on getting the best services for members at the right price. So, with the superannuation industry now being more than 25 years old many of its funds are mature enough to make ‘smart-sourcing’ decisions. If SMSF firms follow a well thought out process which considers quality, cost and risk, there is every chance that clients will be the end-beneficiaries. So, there is much more to outsourcing than meets the eye, and plenty of reasons to be grateful for at least having a range of sourcing options. This article was first published by SMSFAdviser, and can be found here. This entry was posted in Articles and tagged Outsourcing, Superannuation.